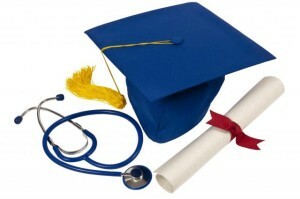 Are Online Nursing Degrees Respected in the Workplace? For those interested in pursuing a nursing career, there are numerous higher education programs offering online nursing degrees to consider. A frequently asked question is: Will a degree from an online nursing program be considered legitimate by employers and accepted with respect in the workplace? This is a fair inquiry. Employers and potential co-workers want to know that new employees have the right credentials from rigorous, accredited programs, qualifying them to work in the nursing field. Looking at three factors influencing this topic may reveal some surprising information about the legitimacy of online nursing degree programs. It’s what everyone thinks about when considering college: attending classes on a traditional campus, in brick and mortar settings, for a set number of years. The end result is earning a degree of choice that comes with pomp and circumstance and the stamp of approval from an accredited, educational institution recognizable to employers. By contrast, the validity of online degrees offered through distance learning programs is often questioned. In fact, forms of distance learning have been around for over one hundred years, with educational institutions presenting degree programs through correspondence courses, radio broadcasts, and televised classes. Online programs, including those in nursing, are just the latest in a long line of distance learning options. Offered by many well-known colleges and universities, these programs provide the same rigorous curricula for online students as for those attending traditional classes. The reputation of the educational institution conferring the degree. The history and quality of the institution’s graduates in the field. With regard to online nursing degree programs, prospective students should make sure programs are accredited by the Commission on Collegiate Nursing Education. The factors explored here demonstrate that online nursing programs are on par with those offered through traditional college settings. Online degrees not only have a long history of distance learning success behind them, but many employers have rated them just as credibly as those earned through brick and mortar programs. Additionally, online nursing studies are available at all degree levels. With this in mind, potential nursing candidates can feel confident about obtaining online nursing degrees that will engender respect from employers and co-workers.